Lachey’s is hiring & a sneak peek of the menu! 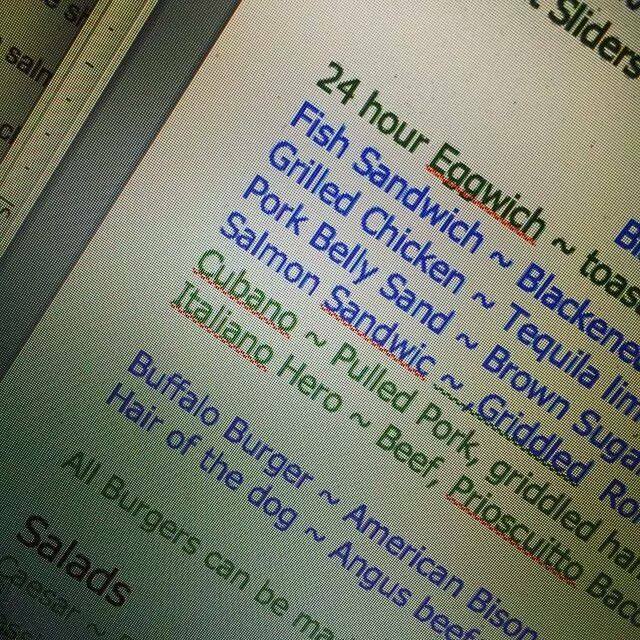 Last week, Chef Brian Duffy instagrammed a preview of a menu with “Menu process!!! Get ready @nicklachey &@thedrewlachey !! This place is gonna be awesome!! #duffified #foodacrossthenation”. I immediately asked for clarification (which he didn’t respond to) but was really excited at the thought of Brian Duffy working with Drew and Nick for Lachey’s Bar; I recognized his name from the show “Bar Rescue” and recalled him as a great help to many bars on that show! Then, some jobs were posted for Lachey’s and 4EG is saying that they are hiring for ALL positions! You can check them out and apply HERE . 4EG’s site confirms that Chef Brian Duffy is indeed putting together the menu AND the bar is scheduled to open in December! Who else thinks a December road trip is in order?!?! This entry was posted on October 13, 2014 by emmieleigh. It was filed under Uncategorized and was tagged with 4EG, Bar Rescue, Brian Duffy, Chef Brian Duffy, Cincinnati, Drew Lachey, employment, jobs, Lachey's, Lachey's Bar, Nick Lachey.